The largest-scale Iron Giant collectible ever made is the latest Legend in Three Dimensions! The Legends in 3D line expands to the world of animation with this 10-inch tall bust of the Iron Giant, star of the animated film of the same name. 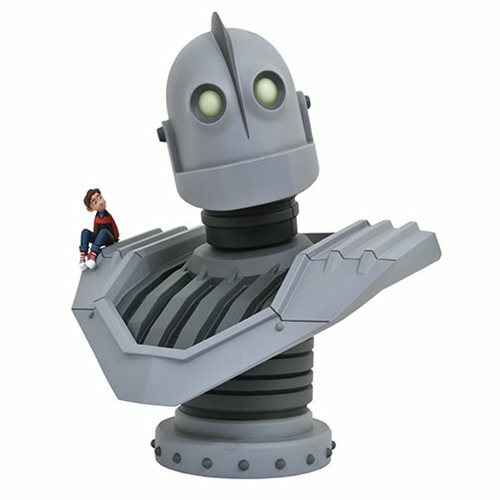 With his pal Hogarth perched on his shoulder, this bust is the ultimate gift for any fan of The Iron Giant, or of iron giants in general. Limited edition of 1,000 pieces, this numbered bust comes with a certificate of authenticity in a full-color box.